Here is this week’s installment of the Library School Career Center feature, which is presented in partnership with the folks from the blog Hack Library School. If you’re interested in library education, or in new ideas and the future of the profession, you should check it out. Who staffs the career center? Please talk a little about how it is managed and run. Janet is the Career Services Advisor for the iSchool, which includes the Masters of Library and Information Science (MLIS) program. Her office is in the Office of Student Services for the Information School which includes academic advisors, the admissions advisor, and support staff. Are there “career experts” on staff? What are their credentials? Janet has 3 years of experience in career advising and over 10 years of experience in training and education of adults and youth. She has an M.Ed. in Student Development Administration, and spends every free moment possible staying up to date on hiring trends and techniques to help students succeed in their future jobs. Do you provide in-person services? √ Drop-in career center: Set drop-in hours each quarter, and students routinely pop in when my office door is open. Do you provide online services? √ Other: online and phone advising appointments to distance students, a jobs and internships database just for iSchool students and alumni. What do you think is the best way for students to use the career center? 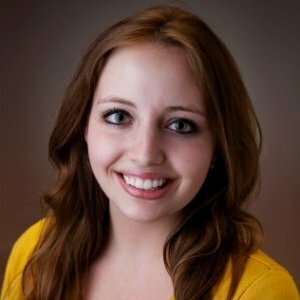 I augment the resources available through the main UW Career Center, so I recommend that students visit and bookmark the content on the UW Career Center website, or visit with Career Center professionals for resume/cover letter reviews, and then to schedule an appointment with me if they want more specialized support! Attend workshops and employer information sessions to learn about common topics and to network with professionals. The more you attend that will help you network with professionals across a variety of industries and sectors the better, and not just with traditional libraries! May alumni use career center resources? Alumni can use our job and internships database, called iCareers, and can utilize web resources and the resources available through the UW Career Center. Are there any charges for services? Can you share any stories about job hunters that found positions after using the career center? I have received a few thank you notes from students who credit their appointment with career services to increasing their confidence and helping them generate ideas and contacts that have led to internships or full time jobs. It makes me so happy to know that our services are helpful to students! Anything else you’d like to share with readers about your services in particular, or about library hiring/job hunting in general? I advocate creativity in the job search and career development process! I ask students to think about their values and what they want to be doing every day, and then to think creatively about all the different environments and organizations that might benefit from their skill set that an MLIS and their other professional backgrounds provide. In a market that’s tough for libraries, our students are active and successful in a variety of corporate, nonprofit, or government settings in addition to traditional library environments. Can you share any statistics about employment rates after graduation? We unfortunately have never had a response rate of over 51% to surveys of our graduates, so we don’t currently have very accurate data on employment rates after graduation. Can you talk a little bit about the school’s approach to internships, practicums and/or volunteering? Internships for our MLIS students are highly encouraged! The more experience a student has the better, and internships can lead to great contacts and skills that will help you land a job later. I advocate that students take on as much internship or independent experience as they can to bolster their experience, their network of contacts, and their resume. Students work with me to find great internship options, and with their academic advisor to figure out how to get credit. Does the school have a stated approach or policy on helping students to find careers? We make information work for your career. The iSchool Career Adviser offers information on job search skills, advising on career development, and connections to resources and employers tailored to the information field. We help you to stand out and be noticed no matter where you are in your professional career. Our first responsibility is to connect the student experience at the iSchool to the professional goals of our students. We focus on the information profession and refer students to the UW Career Center for other general career counseling and workshops. Our students are highly qualified to fill roles as information professionals in a variety of organizations. We facilitate job recruitment through a fair and equitable process that is driven by the needs of our students. The iSchool supports and abides by theNational Association of Colleges and Employers Principles for Professional Practice. Are there any notable graduates? How many students in the library school? What degree(s) do you offer? When was the library school founded? Anything else you’d like to share that’s unique about the school? We’re so lucky to be in Seattle, it’s beautiful here!